A Pennsylvania couple became the lucky players to hit the jackpot for the Christmas Eve Powerball. 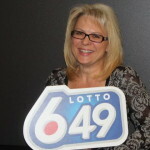 Lady luck had definitely smiled at them as they held the single ticket to claim the jackpot. They were seen all in smiles, accompanied by their lawyer as they were ushered in the Maryland Lottery Headquarters. To minimize unnecessary publicity on their fortune, the couple chose to remain anonymous. The couples quick pick voucher contained the selection 14, 16,30,51,52, the power ball number 19, was same with all the five white balls together with the red ball. This made the couple claim the second largest jackpot in Maryland. 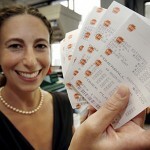 The largest jackpot ever won in Mary land was that of 128 million dollars. It was won by one lucky lady in the Baltimore county back in 2003. Apparently, the man of the house had purchased the ticket while on his way out of an Elkton restaurant. 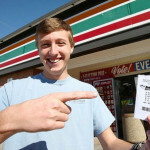 He bought two tickets, one for the Mega Millions jackpot and the other for the Powerball jackpot. This simple event totally changed the couple’s life forever. His immediate reaction to the knowledge of his fortune was shocked as he informed his wife so that she too can join in the celebration. The couple at first thought they were the winners of twenty million dollars and this alone made their hearts skip a beat. Therefore, when they got to know that they were actually winners of 128 million dollars they described the feeling to that of being too good to be true. The couple is yet to take the annuity option for the 128 million dollar jackpot or the 81million dollar cash option. 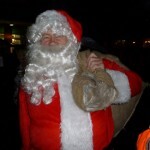 The couples plan to use the money in paying off their debts and using part of the money for the good of the society by donating it to charity. The bar at Elton, which sold the ticket, will receive a tidy sum of $25000 as commission for sale of the winning ticket. 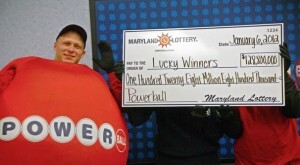 Maryland joined the Powerball just two years ago and has already produced two jackpot winners. The Multi sate lotteries will double its starting point from $20 million to $40 million from January 15. The second tier will also rise to $1 million from the current $200000. On the downside for lottery player is that the lottery ticket price will rise to $2 from its current $1. The first draw under the new game structure will begin from 18 January.